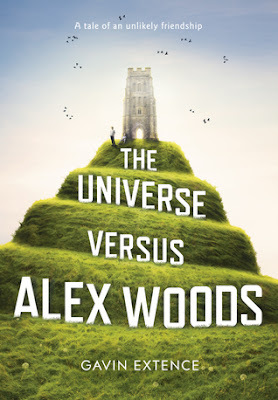 Book Review: Gavin Extence's "The Universe Versus Alex Woods"
Home » books » literature works » review » Book Review: Gavin Extence's "The Universe Versus Alex Woods"
The Universe Versus Alex Woods is the astonishing debut novel from Gavin Extence. Set in rural Somerset, the book tells the tale of an extraordinary young boy, and an unlikely friendship. Hit by a meteorite, brought up by a clairvoyant mother, and subject to epileptic fits, Alex is the definition of a teenager who doesn’t fit in. It is only through his friendship with grouchy American, Mr Peterson that he begins to accept his differences. I can certainly understand the hype around this novel. If there is a more likeable- witty, direct, charmingly naïve- narrator than Alex Woods, I’m not sure I’ve encountered him. The narrative voice is so distinct, that I found it impossible not to be entirely swallowed by the world Extence had created. Isaac Peterson could hardly be more different: a pot-smoking, Vietnam veteran, and long-time fan of Kurt Vonnegut. Alex and his is an unlikely friendship, but one which is based on a true understanding of one another. Extence strikes an ideal balance between humour – the incident in the headmaster’s office being a particularly good example of this – and darker musings on the nature of existence. The book made me laugh out loud and even shed a few tears. It’s a well-crafted story of friendship, loss, and a celebration of the value of life. Extence poses questions about what happens after we die, and what it means to die a good death. The result is a novel which leaves you feeling as though you might just have read something very profound. I really wan to see a film version of this book!